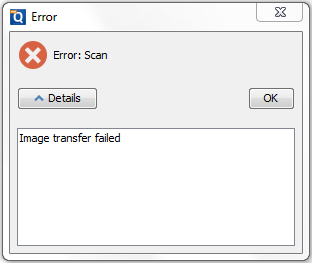 Q: When I try to scan a document using PDF Studio, it shows an ” Image transfer failed” error. What is this error and how to solve it? Scanner is offline which means that your scanner cannot connect to the internet. Try to restart your scanner OR connect scanner to your computer using USB cable. Scanner’s IP address has changed and you will need to update the IP address on your scanner OR reinstall your scanner driver.